A reliable source for Temperature Chambers information and a resource for accessing leading Temperature Chambers and suppliers. Temperature Chambers Temperature chambers replicate differing extremes of temperature in order to test and evaluate the effects on certain objects and materials of constant and prolonged exposure to extremes of temperature, or to rapid temperature change. The range of products that require temperature testing is broad; therefore temperature chambers are available in many sizes, including compact benchtop chambers and much larger walk-in chambers designed according to the manufacturer needs. Many chambers are custom designed based not only on the size and shape of the product being tested, but also on its intended use. 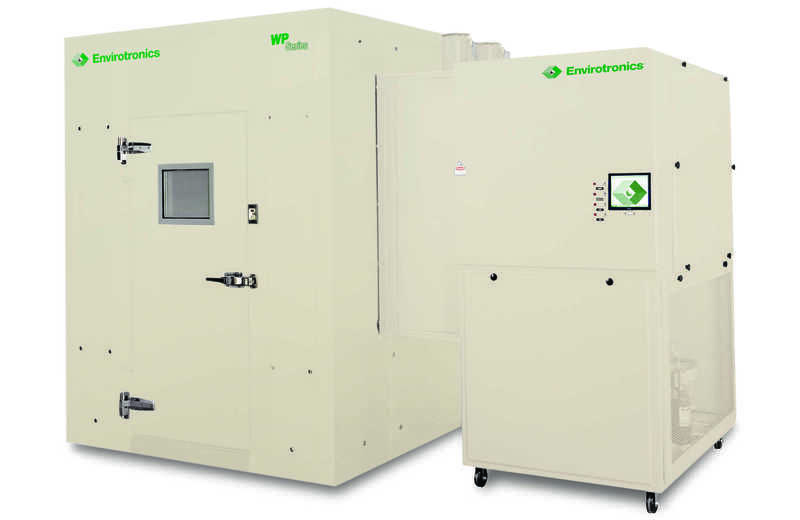 Temperature Chambers – Weiss Envirotronics®, Inc. The validity of the test results is important for future manufacturing changes and improvements, and therefore chamber construction should be carefully considered. Temperature controls and precision are an important element of undergoing the tests and recording the results for future reference. This is usually done by electronic sensors in order to achieve the most accurate reading. Another consideration in temperature chambers is the method of distribution of air to achieve a uniform temperature pattern within the sealed chamber. Each element of the test and testing conditions has to be taken into consideration - already existing environment and climate, the potential addition of interior chamber lighting and thus extra heat, and the variations that already exist between products and materials being tested. Depending on the industry doing the testing, standards for execution of the process and recording will differ, and yet an improved product is a typical result. It may be an expensive and time-consuming procedure depending on the size and process undertaken, and yet it is a wise manufacturing choice to undergo temperature testing, especially in terms of long-term expenditure and future benefit. Industries such as medical, consumer, construction, food processing and automotive use temperature testing on their products revealing potential flaws and malfunctions. Temperature chambers can produce an environment with temperatures from below freezing to reaching as high as 210°C. 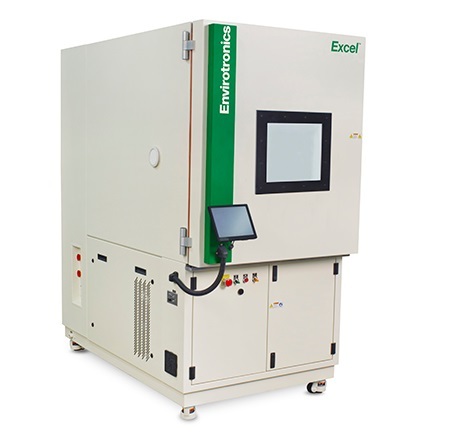 The goal of test chambers is to accurately predict, and then allow the manufacturer to correct if needed, the response of a product to the environment. Therefore it is important that the chamber produce an environment as close to that of nature as possible. As existing temperature is closely linked with relative humidity, chambers that combine the effects of temperature and humidity are common. Temperature chambers can also be used as storage spaces for materials that are sensitive to adjustments in temperature, especially in the medical and pharmaceutical industries.